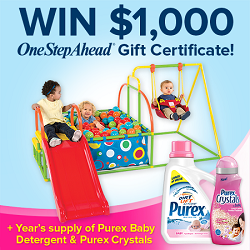 Give your baby a fresh start with Purex® & One Step Ahead®! Purex® has a great giveaway going on right now. US Only. Sweepstakes ends 3pm PT on July 31st, 2014.